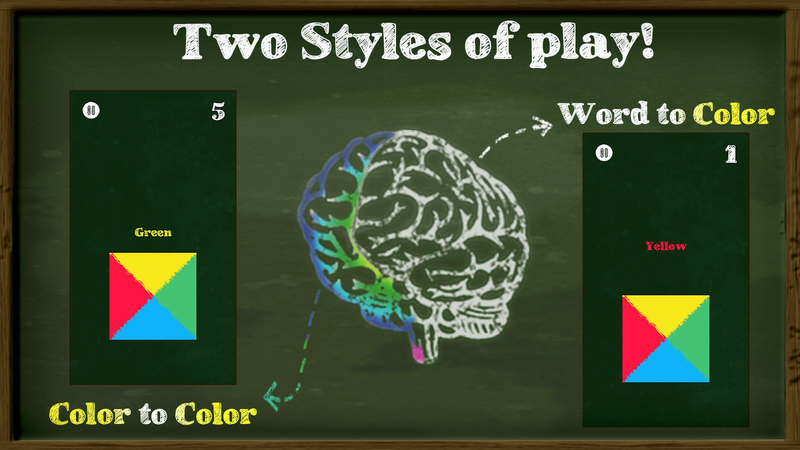 Colors on the Brain is a puzzle game that has been developed using an effect which gauges the interference of an individual's reaction time on a task. This effect is widely known as the "Stroop Effect", named after John Ridley Stroop, who in 1935 first published the effect in English. 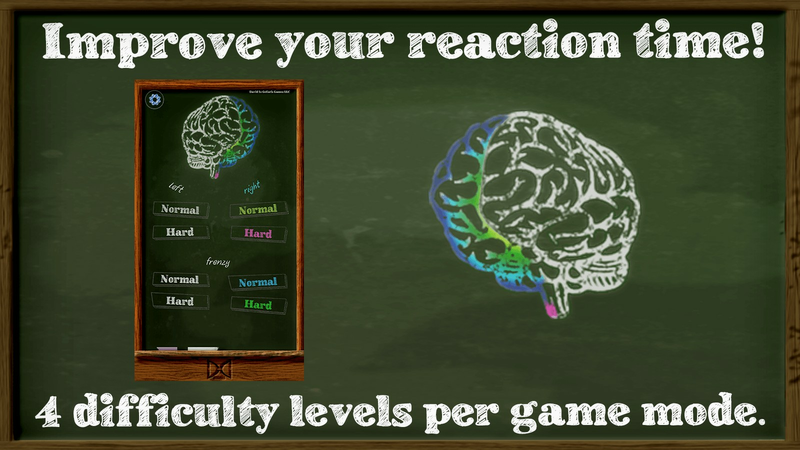 - TWO MODES OF PLAY: Training mode is a slower paced mode focused on brain training. This mode includes left and right, as well as normal and hard difficulties. Start slow with the normal difficulties consisting of four words and colors, and then take on hard and introduce even more words and colors! Frenzy mode is a fast paced mode for those who have had enough of training! This mode maintains the left and right, as well as normal and hard difficulties from training mode, but takes the gameplay up a notch by dropping multiple words at varying speeds. Scoring words will knock dissimilar words back into the air, but be ready when they come back down! - LEADERBOARDS AND ACHIEVEMENTS: Compete with your friends, family and the entire Google Play community on eight different levels, each with daily, weekly and all time leaderboards. Unlock nearly 20 Google Play achievements to show you are the biggest brain! - LOCALIZED FOR 17 LANGUAGES: Choose your main language or take an absurd challenge to learn a new one's colors. Many major languages supported and all localized in real time with the push of a button! - AN APP FOR ALL AGES: Just learning your colors or keeping an aging brain sharp. If you know your colors, we got you covered!